IsoVibe SX F Series Riser Model ISO-ACAT07SX - Grip N Rip Racing LLC. New Isovibe SX model designed for snowcross racers and aggressive trail/standup riders. New bushing design absorbs vibration just like the original Isovibe but takes shock absorption to a new level. The new design absorbs shock in the forward and rearward direction just like the original design but now absorbs shock in the vertical and side to side direction. It took two years and 4 different prototypes to come up with the correct balance of front to back and side to side deflection. 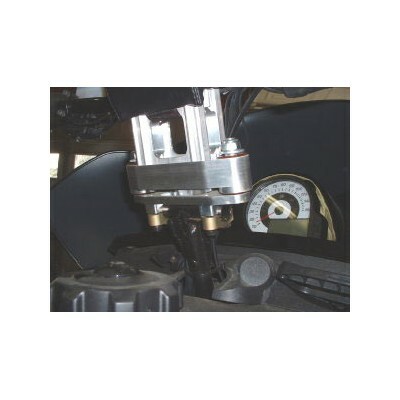 Fits 2007-Present F Series models with a standard aluminum riser block (not quick adjust riser block). 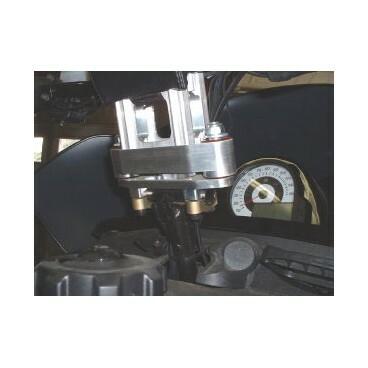 Won't fit sleds with an old style steering post plate or F Series sleds with quick adjust riser block or aftermarket riser. When ordering list your year and model in the comments section to make sure we ship the correct model Isovibe for your sled.